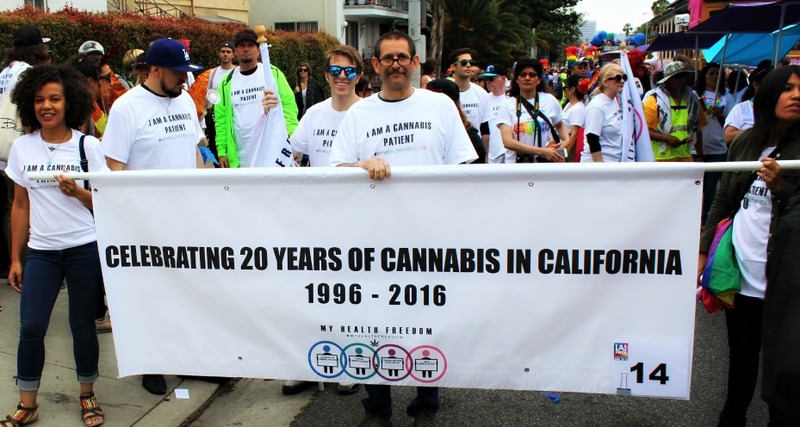 Yesterday, under the My Health Freedom banner, the cannabis community came together to march in the LA Pride Parade through West Hollywood. In a celebration of 20 years of medical access and a repudiation of hatred, the community came together to celebrate the rights we all share. Despite the senseless act of violence perpetrated against the LGBTQ community in Orlando, thousands of well-wishers braved anxiety about their own safety to support the 46th annual Pride parade on Santa Monica Boulevard—lined 5 deep along most of the 2.5 mile parade route. The entire community showed it would not bow to hatred, with massive support from an array of large corporate sponsors. 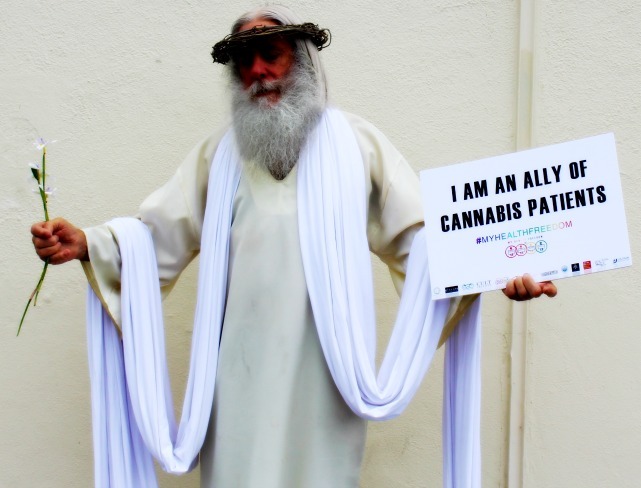 California Cannabis Advocates was so pleased to have partners in this effort, including: Cult Creative, Bhang Chocolate, The Higher Path, Drug Policy Alliance, Latinos for Cannabis, the Howse Foundation, Mama Sailene, elevate LA, the US Pain Foundation, and the LA Cannabis Task Force. We had the distinct pleasure of marching with Jesus, who found Felicia in the crowd before the parade started and asked to be part of our contingent. 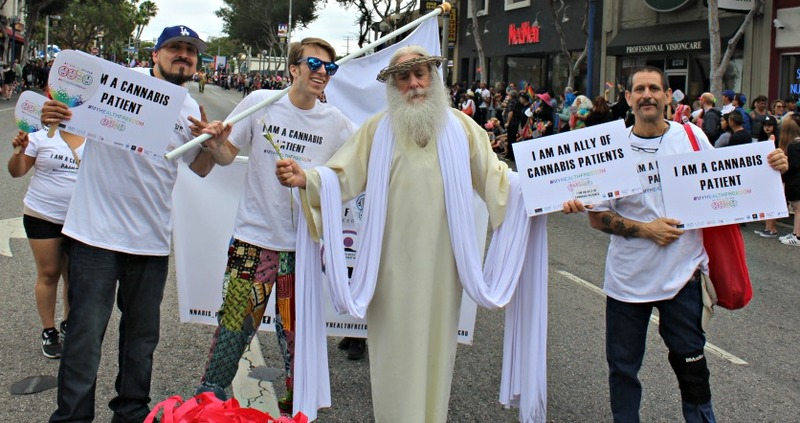 Jesus, along with Olivia of Cult Creative and Leah of elevate LA who were both dressed as a rainbow-bedazzled cannabis leaf, were the hit of our section, posing for photographs with fans all along the parade route.